Investor Decks for Software as a Service companies around the world. Pitch deck designers that have a way with slides, telling stories through the right imagery. Investor presentations and sales decks that bring new life to dense technical and established companies. Telling mouth-watering stories for companies in the physical products and food industries. TV and Movie pitch decks that entertain entertainment investors. Decks made for all forms of funding; angel investors, venture capital firms, accelerators, or equity crowdfunding sites. Pitch decks for every industry; we’ve served clients solving big healthcare problems through technology, medical devices, etc. Pitch decks fit for the big stage; we’ve built decks for clients pitching at national pitch competitions and accelerator demo day events. Our process allows us to design pitch decks fit for every stage of startup, from concept to seed, to series A and beyond. All of our pitch decks include the custom infographics, icons, and stock photos.  READY TO IGNITE YOUR START UP? Let’s get started designing your fully customized pitch deck today! Our team is standing by to work with you. We enable startups just like yours to get the funding, clients and growth that they deserve! We’ve worked with entrepreneurs around the world and in all different industries to put together compelling and effective pitch decks, sales decks, and other presentations for their startup. We custom build all of our pitch decks from scratch, never using any templates, and we make sure that the deck design seamlessly fits the company’s brand, ethos, and speaks to the decks audience in an effective way. Still looking at options for getting your best Pitch Deck? Check out our ‘Pitch Deck Industry Guide’, know your options and get your best Pitch Deck. We’ve done the research for you on top results for Pitch Deck designers and providers and created the industry guide to give you an idea of who’s out there and what to expect. Check it out and get back to growing your company!